Street Art & Adidas go hand in hand! The streets of South London got a serious pounding last month when sportswear giants Adidas invited runners to abandon the ordinary and take on their 10k London Labyrinth maze run. Many revellers showed interest in challenging themselves and finding their way around the maze in Lambeth. 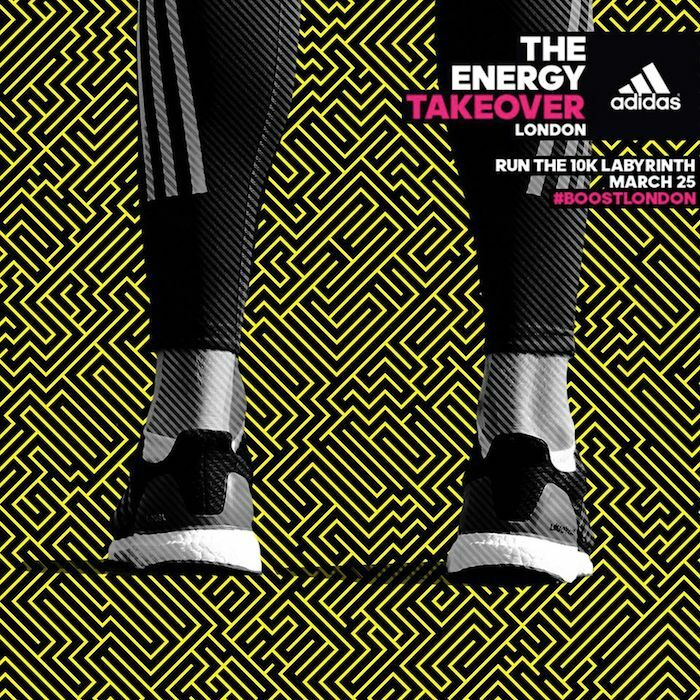 Adidas wanted to leave race runners with a little hint as to how to reach the finish line! Who did they ask to help them find a fun way to do this? Your friendly neighbourhood Street Ninjas here at Street Advertising Services! So we put our heads together and came up with a bunch of ideas! One idea really stuck out as unique and colourful so we jumped into the Mystery Machine and headed to South London! 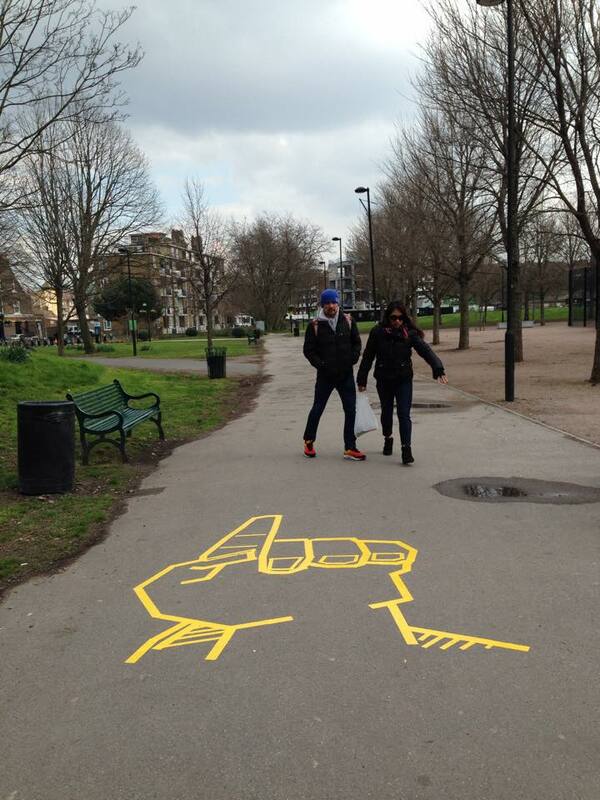 We located the route of the 10k London Labyrinth run and set to work with our special durable creative tape! 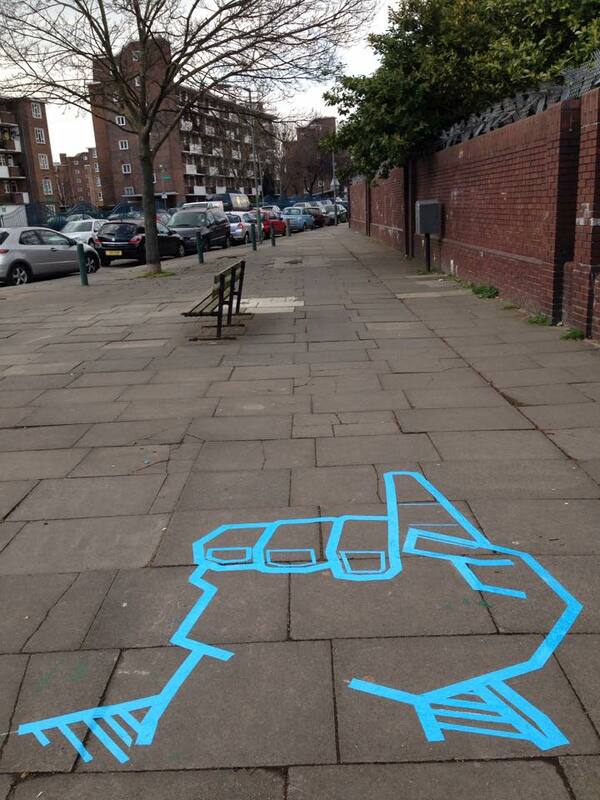 The result was a series of subtle street art installations which were both functional and pleasing to the eye! The way markers pointing the runners in the right direction proved so interesting to participants that some even stopped to take a picture on their way to the finish line! Adidas really did put on a race like no other! One final awesome thing about this form of Street Art is that once we removed the tape after the event, you'd never know it was there in the first place! No mess whatsoever! 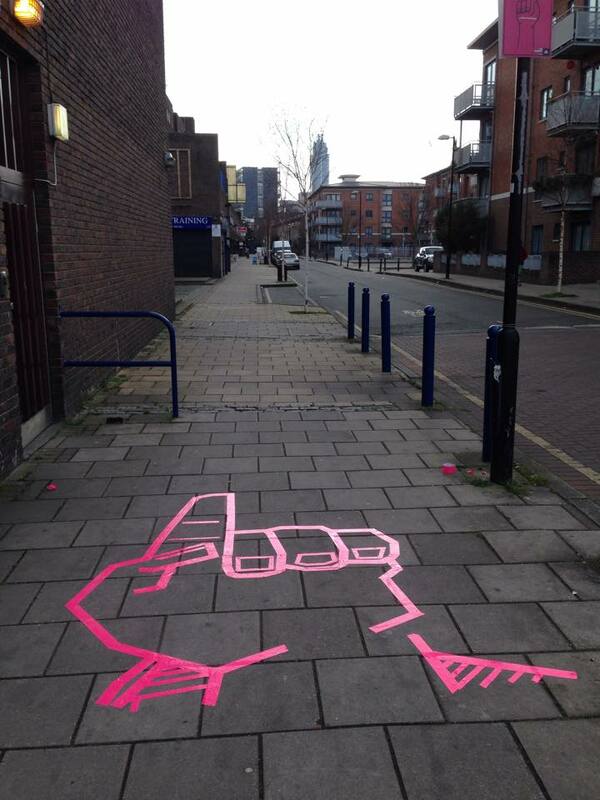 Other unusual ways of getting your message across using Street Art include Clean Advertising or Chalk Advertising! These methods pack very different punches and are worth checking out if you want to create something memorable, sharable and functional for your brand or event! We also graced the Everton football club grounds quite recently with our creativity and produced some fantastic Chalk Advertising for both the walls and floors! Take a look here and let us know what you think on our Facebook or Twitter page! We'd also love to hear from you if you took part in the Adidas 10k London Labyrinth run! Did you notice our helping hands! ?